William Eldridge Odom (June 23, 1932 – May 30, 2008) was a retired U.S. Army 3-star general, and former Director of the NSA under President Ronald Reagan, which culminated a 31-year career in military intelligence, mainly specializing in matters relating to the Soviet Union. After his retirement from the military, he became a think tank policy expert and a university professor and became known for his outspoken criticism of the Iraq War and warrantless wiretapping of American citizens. He died of an apparent heart attack at his vacation home in Lincoln, Vermont. 1954 Graduated from the United States Military Academy and was commissioned a Second Lieutenant. 1954–1960, Served in both the United States and West Germany. 1962, Earned a Masters Degree from Columbia University, and married Anne Weld Curtis. 1964–1966, Served as part of the military liaison mission to the Soviet Union at Potsdam, Germany. 1966–1969, Taught at West Point as an assistant professor of government. 1970, Completed a Ph.D. at Columbia. 1970–1971, At this point a Lieutenant Colonel, served in Vietnam, being on the Staff of Plans, Policy, and Programs, and working on the Vietnamization phase of the war. 1971–1972, Odom was a visiting scholar at the Research Institute on Communist Affairs at Columbia. 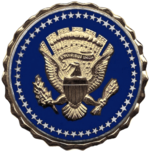 1972–1974, U.S. assistant military attaché at the United States embassy in Moscow. 1974–1977, Associate professor, Department of Social Science at West Point. 1977–1981, Military assistant to Zbigniew Brzezinski, the assistant to the president for national security affairs. 1981–1985, Assistant chief of staff for intelligence, United States Army. 1984, promoted to Lieutenant General. 1989, Adjunct professor, political science, Yale University, New Haven, Connecticut. Upon returning to the United States, he resumed his career at West Point where he taught courses in Soviet politics. Odom regularly stressed the importance of education for military officers. In 1977, he was appointed as the military assistant to Zbigniew Brzezinski, the hawkish assistant for national security affairs to President Jimmy Carter. Among the primary issues he focused on were American-Soviet relations, including the SALT nuclear weapons talks, the Soviet invasion of Afghanistan, the Iran hostage crisis, presidential directives on the situation in the Persian Gulf, terrorism and hijackings, and the executive order on telecommunications policy. From 2 November 1981 to 12 May 1985, Odom served as the Army's Assistant Chief of Staff for Intelligence. From 1985 to 1988, he served as the director of the National Security Agency, the United States' largest intelligence agency, under president Ronald Reagan. Odom was a Senior Fellow at the Hudson Institute, where he specialized in military issues, intelligence, and international relations. He was also an adjunct professor at Yale University and Georgetown University, where he taught seminar courses in U.S. National Security Policy and Russian Politics. He earned a national reputation as an expert on the Soviet military. Odom was a member of the Military Intelligence Hall of Fame. He was also a member of the advisory council of the Victims of Communism Memorial Foundation. Commonwealth or Empire? Russia, Central Asia, and the Transcaucasus, with Robert Dujarric, (Hudson Institute, 1995). The Collapse of the Soviet Military, (Yale University Press, 1998, ISBN 0-300-08271-1). Won the Marshall Shulman Prize. June 21, 2002, "Testimony before the Senate Government Affairs Committee on creating a Department of Homeland Security", online version retrieved May 30, 2016. January 18, 2007, "Testimony before the Senate Foreign Relations Committee", online version retrieved May 30, 2016. April 2, 2008, "Testimony before the Senate Foreign Relations Committee on Iraq", online version retrieved May 30, 2016. Major news shows such as PBS' "The NewsHour with Jim Lehrer", ABC's "Nightline", BBC's "The World Tonight"
Hugh Hewitt on February 15, 2007. Transcript Here. Also has published newspaper op-ed pieces in the New York Times, Wall Street Journal, Washington Post and others. "The president has let (the Iraq war) proceed on automatic pilot, making no corrections in the face of accumulating evidence that his strategy is failing and cannot be rescued. He lets the United States fly further and further into trouble, squandering its influence, money and blood, facilitating the gains of our enemies." "An attempt to extort Congress into providing funds by keeping U.S. forces in peril.. surely would constitute the 'high crime' of squandering the lives of soldiers and Marines for his own personal interest." "As many critics have pointed, out, terrorism is not an enemy. It is a tactic. Because the United States itself has a long record of supporting terrorists and using terrorist tactics, the slogans of today's war on terrorism merely makes the United States look hypocritical to the rest of the world." "The invasion of Iraq may well turn out to be the greatest strategic disaster in American history." ^ Schudel, Matt (June 1, 2008). "William E. Odom, 75; Military Adviser to 2 Administrations". The Washington Post. ^ "Reagan's NSA chief speaks out". Profile of General Odom, Notable Names DataBase. Interview. General Odom Calls For U.S. Troop Withdrawal From Iraq, Democracy Now, May 12, 2004. Interview. General Odom: U.S. Should "Cut and Run" From Iraq, Democracy Now, October 4, 2005. This page was last edited on 13 November 2018, at 20:18 (UTC).